These narratives from ordinary people have done a great deal to expand and diversify the voices which make up the broader narrative of the war. Yet a number of other important voices of people intimately involved in the war, and deeply affected by it, continue to remain largely unheard. In particular, historic and recent commemorations of WWI have largely failed to give a voice to, or adequately acknowledge the narratives of, the thousands of war resisters and conscientious objectors (COs), including many Māori. In fact, around forty percent of the 208,513 men on the National Register of all men of military age in 1915 said that they would not perform service at home or abroad, or would only perform service at home. This is why the government was compelled to bring in conscription; the war was deeply unpopular. Several hundred later officially registered as COs. Many of the COs who stood firm and refused to serve suffered greatly for their actions, including in some cases what today would be viewed as torture, meted out by officials to try and force them to renounce their values and put on a uniform. The story of fourteen COs shipped over to the front lines in France is detailed in Archibald Baxter’s famous book, We Will Not Cease, the most widely known account by a conscientious objector in New Zealand and a story which continues to be read today. When the war was over, viewed by society and the authorities as cowards and shirkers, a great many COs and their families continued to be abused and discriminated against for many decades. For some families, the stigma of conscientious objection continues today. There have been few large-scale official events historically or over the past four years of WWI commemorations to highlight the important story of those who refused to fight for the empire on the grounds of conscience. Further, unlike the United Kingdom, there is no nationally recognised monument in New Zealand to commemorate their story, although there are online educational resources. The failure to adequately acknowledge and recognise the voices of conscientious objectors in the history and commemoration of war in Aotearoa New Zealand can be explained in part by the role that war plays in narratives of national identity. Politicians, historians, film makers and other cultural elites have long emphasised the role of war in the forging of the country’s national identity, some even suggesting that New Zealand came of age as a nation in the trenches and bloodshed of World War 1. Promoting and supporting this narrative are many hundreds of war memorials in virtually every town centre in the country where annual commemorations are held to remember the war dead. Importantly, the national war narrative is limited almost exclusively to WWI and WWII, and ignores the country’s earlier involvement in the Boer War and the New Zealand Wars. The nation’s war memorials also tend to occupy the physical centre of most towns and cities, while the few peace memorials that exist are usually sited on the outskirts. The physical location of war memorials versus peace memorials speaks to the different priority that war and peace hold in dominant collective narratives. The problem with the dominant war-based national identity narrative is that it excludes important voices and distorts the historical record. Aotearoa New Zealand and its people are also home to many long-standing and historic peace traditions, both indigenous and settler, which have also shaped the nation’s character and identity in important ways. Anti-militaristic, nonviolent peace traditions can be seen in the history of Moriori, Waitaha, Parihaka and other indigenous groups, as well as in conscientious objectors and war resisters, the anti-nuclear movement, local activism and many other peace groups operating today. As frequently as ordinary New Zealanders have volunteered to fight, just as many have mobilised to oppose war and violence. Arguably, Aotearoa New Zealand’s national identity today is as much defined by its pacifist and anti-nuclear traditions as it is by its involvement in past wars. Another reason why COs have been neglected and silenced is precisely because their existence and their actions challenge official and culturally accepted narratives about the necessity of war and sacrifice for nation, and the dominant social values associated with militarism. Instead, they emphasise freedom of conscience, the right to challenge unethical or destructive government decisions, and the possibility of alternative, nonviolent ways of resolving disputes between nations. Their willingness to suffer for these beliefs can be seen as rebuke or a challenge to the values of the dominant culture. The irony of the neglect of COs in the WWI commemorations of the past four years is that one of the dominant narratives of the war is that it was fought for freedom and democracy. It could be argued that the denial or denigration of the right of citizens to follow one’s conscience is therefore a denial of the very reasons why people fought in WWI. At the very least, the official effort to include more voices in the narratives of WWI ought to include the voices and stories of those who resisted and contested the call to war. It was in this broader context that the Archibald Baxter Memorial Trust was formed in 2013 to build a national memorial to conscientious objectors and undertake educational activities about their role in WWI and beyond. Over the years, the Trust struggled, often against official disinterest and continuing attitudes of derision and hostility towards COs, to find a suitable site and secure the necessary funding. In late 2018, the Trust has secured a site, a design and some initial funding to build the memorial which will commemorate the bravery, sacrifices, stories and voices of those who stood against the tide of war and refused, on the grounds of conscience, to fight and kill. The Trust hopes to get funding from official WWI bodies to complete the memorial. At the very least, the Trust hopes that its activities will initiate a more vigorous public conversation and greater efforts to include the voices of COs in the narratives of war. The creative commons licence applies only to the text and not to the feature image. 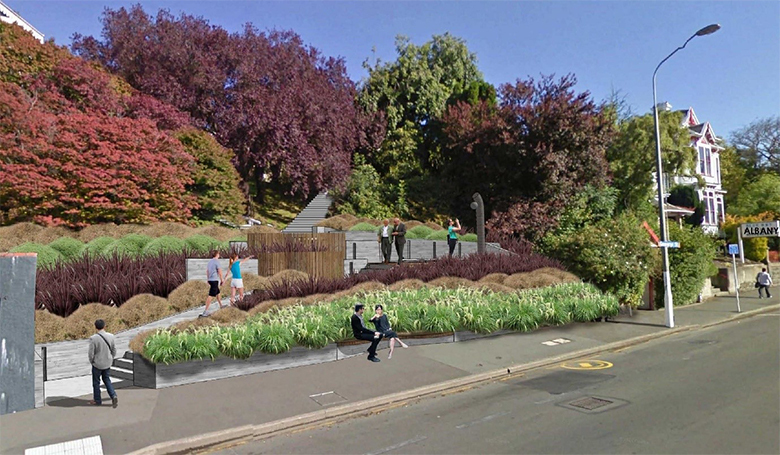 The feature image was provided by the Archibald Baxter Memorial Trust and shows an artist’s impression of the proposed new national memorial to conscientious objectors to be built in Dunedin. 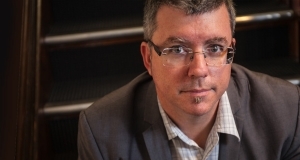 Richard Jackson is the Director of the National Centre for Peace and Conflict Studies at the University of Otago. A Professor of Peace Studies, his most recent research has focused on the return of pacifism and the rise of nonviolence in international politics. The author and editor of 11 books and more than 100 papers, he is most well known for his work on critical approaches to the study of terrorism and political violence.